Third update: Added some more details below from Derek Trum and Madeline Ricchiuto at the show for Bleeding Cool. Second Update: After both Newsarama and ComicBook.com mistakenly read Bleeding Cool’s report and ran their PR-arranged releases early, the project has now actually been announced at NYC Special Edition’s Marvel panel. And PR-based reporting has had its sausage making process revealed. 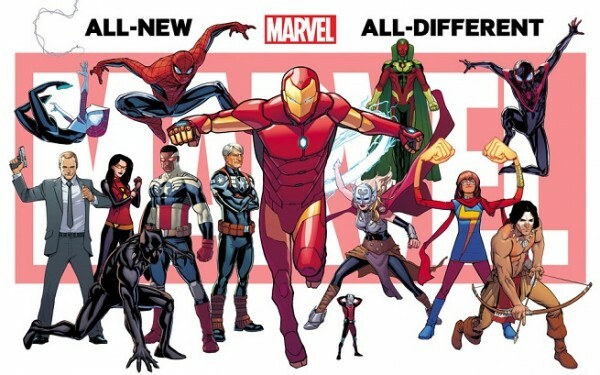 But anyway, the new Invincible Iron Man by Bendis and Marquez is about to have his biological parents revealed, and will be getting a new armour that can transform into other armours, a new villain, new friends who aren’t Avengers – and a new girlfriend. Marvel’s Tom Breevort had something to do with the planning of this book, which has been in the works for the last 10 years… Read the rest at BleedingCool. This is a master list of my work with BleedingCool at NYCC2014.